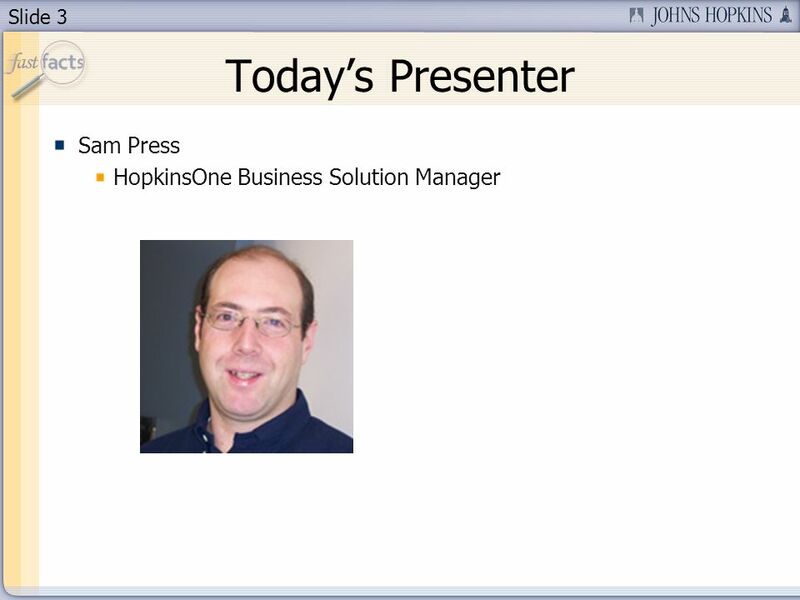 4 Slide 4 Session Segments Presentation Sam will be telling us about the new One-Stop-Shop Security and Workflow Assignment transaction. During Sams presentation, your phone will be muted. Q&A After the presentation, well hold a Q&A session. Well open up the phone lines, and youll be able to ask questions. Sam will answer as many of your questions as time allows. 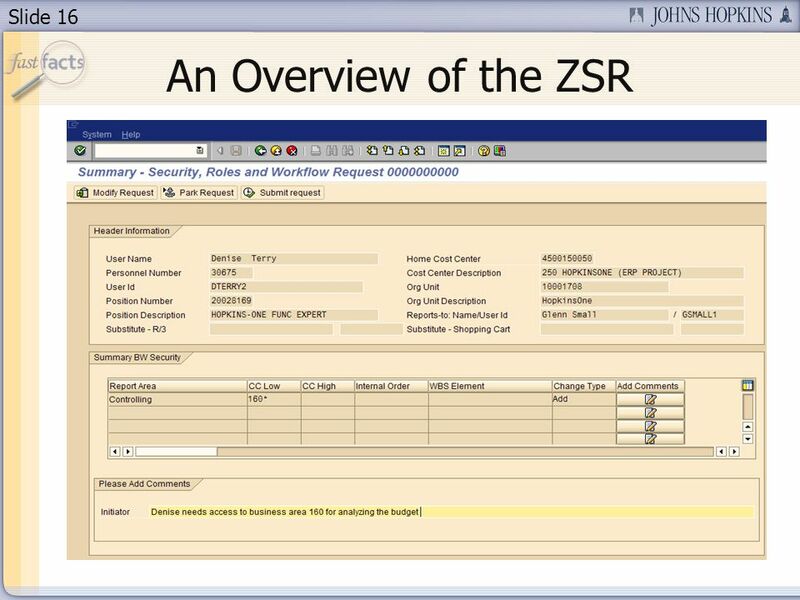 10 Slide 10 Phase 1: BW Security (March 2008) Workflow Approvers (March 2008) Phase 2: SAP Roles* Additional Organization Units (Z61) Other Workflow Assignments *Roles related to BW Security or Workflow will be automatically proposed in a request if the user does not have the required roles. 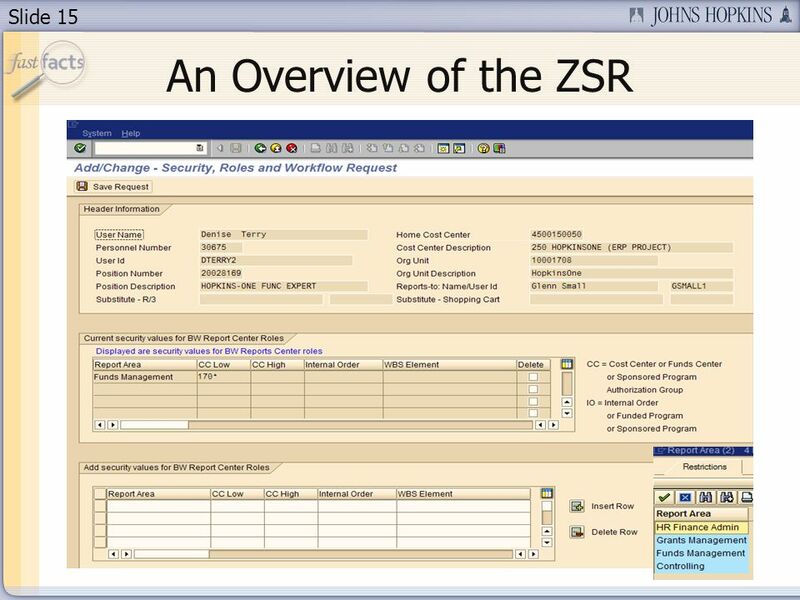 What Is Included in the Current Roll-Out? 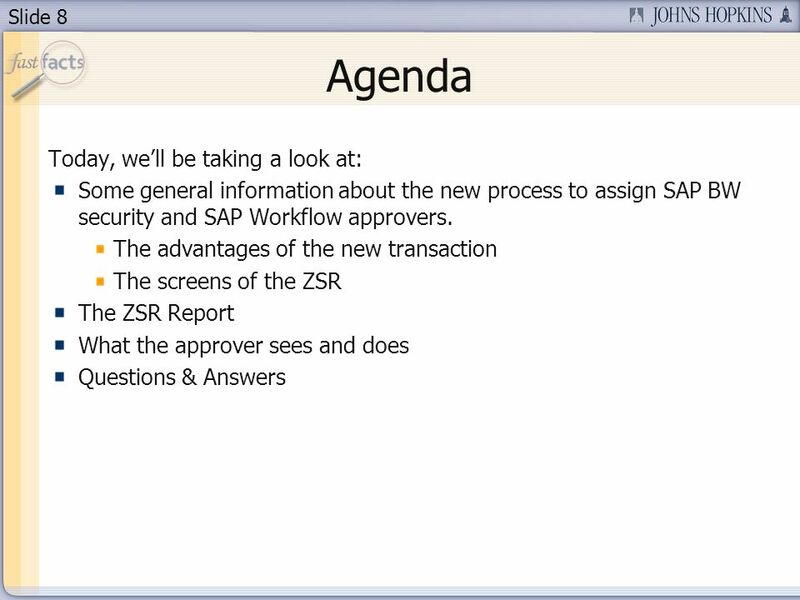 13 Slide 13 Advantages of the ZSR The transaction is online and included in SAP. 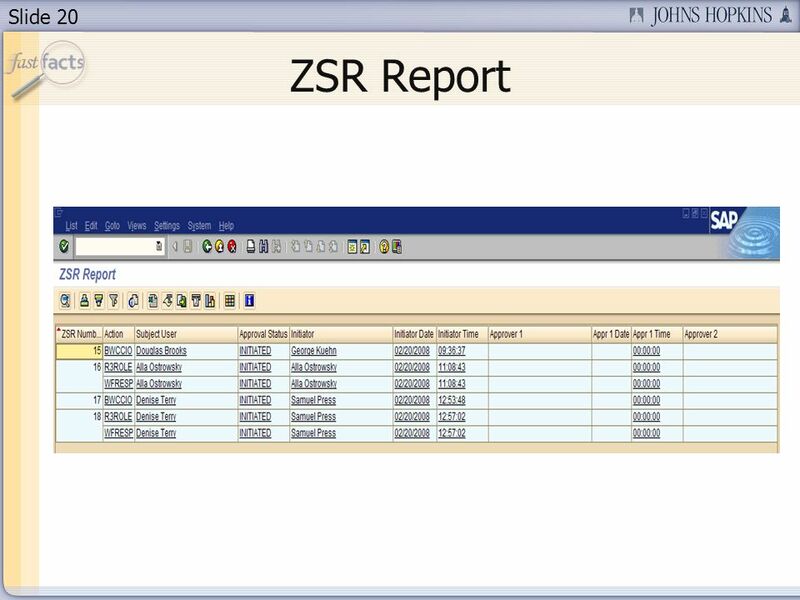 The ZSR has field validation. 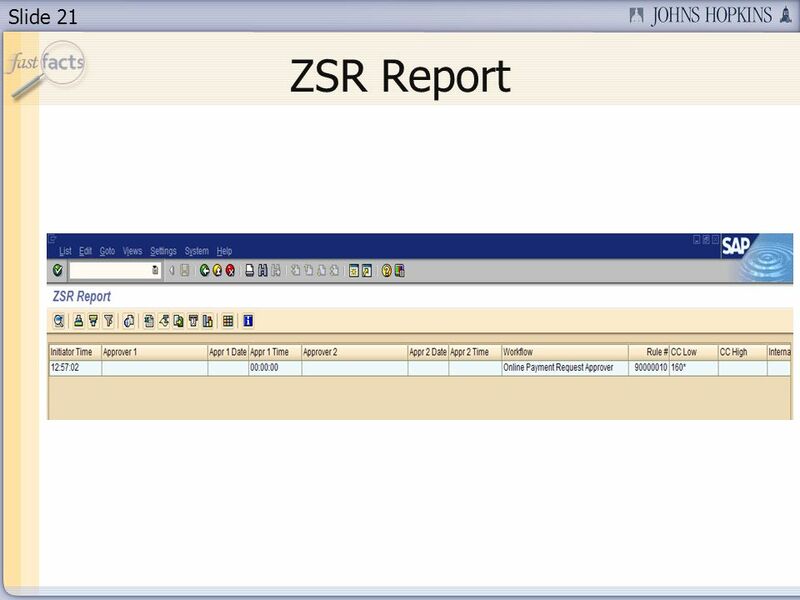 There is a pulldown of choices for each type of BW Report area or Workflow Rule. 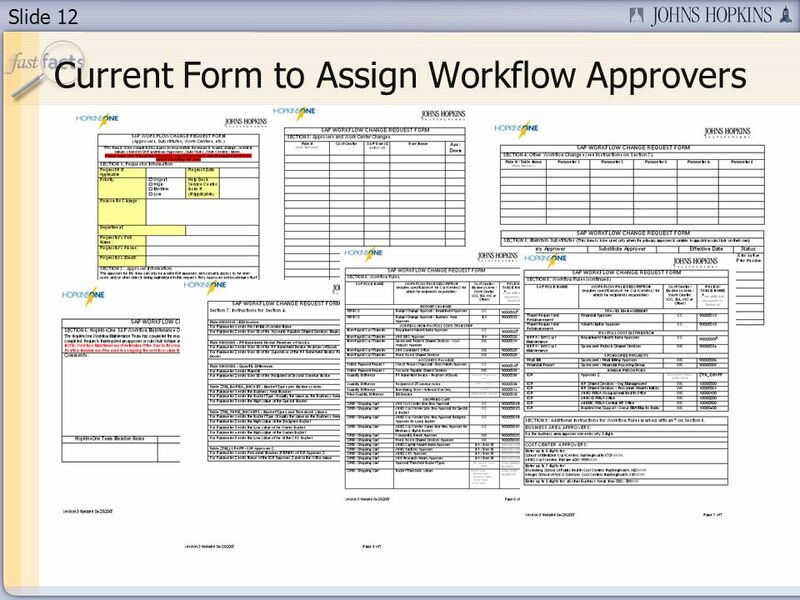 There is automatic workflow to the appropriate approver. 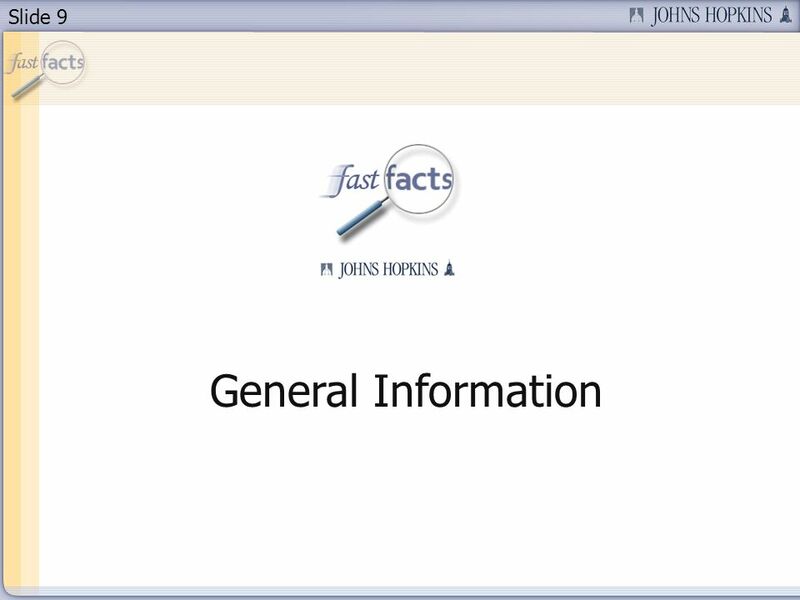 There is automatic update eliminating manual labor and keystroke error. 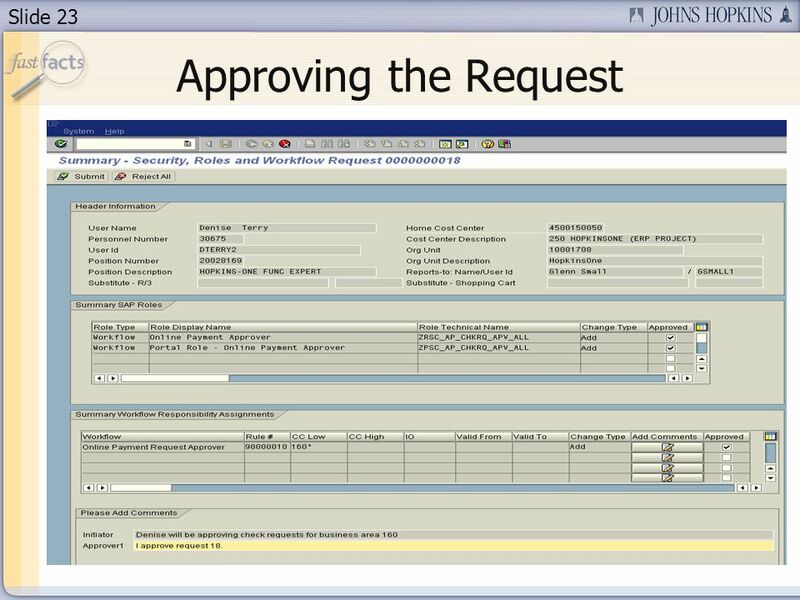 The transaction will propose BW or Workflow roles if the user does not already have the role. Requests can be parked. 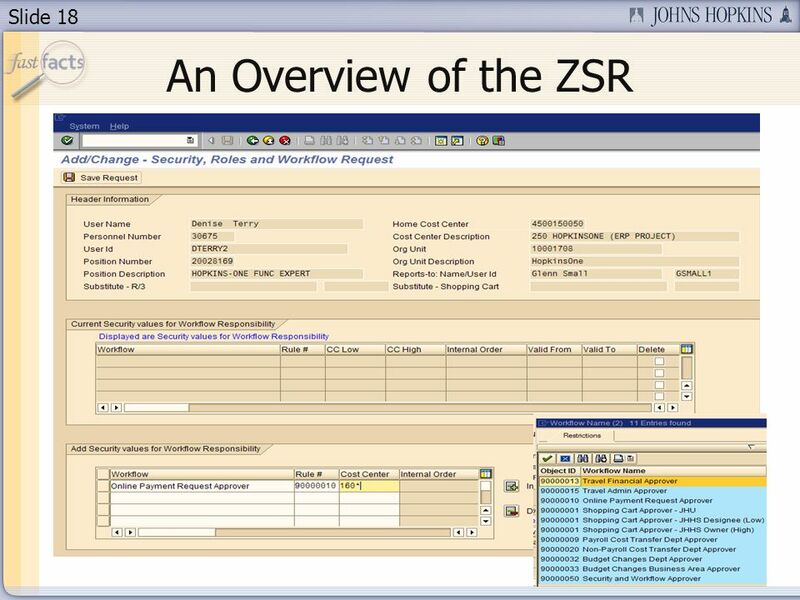 The ZSR role report will display status and can be used to audit who requested and approved security and workflow changes. 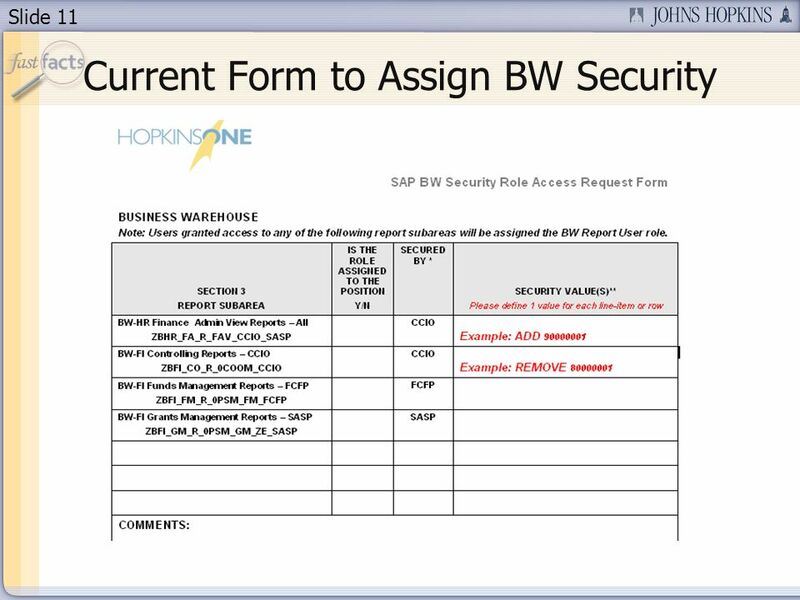 24 Slide 24 Conclusion The New ZSR Transaction and Process should make assigning BW Security and SAP Workflow approvers easier, quicker, and more transparent. 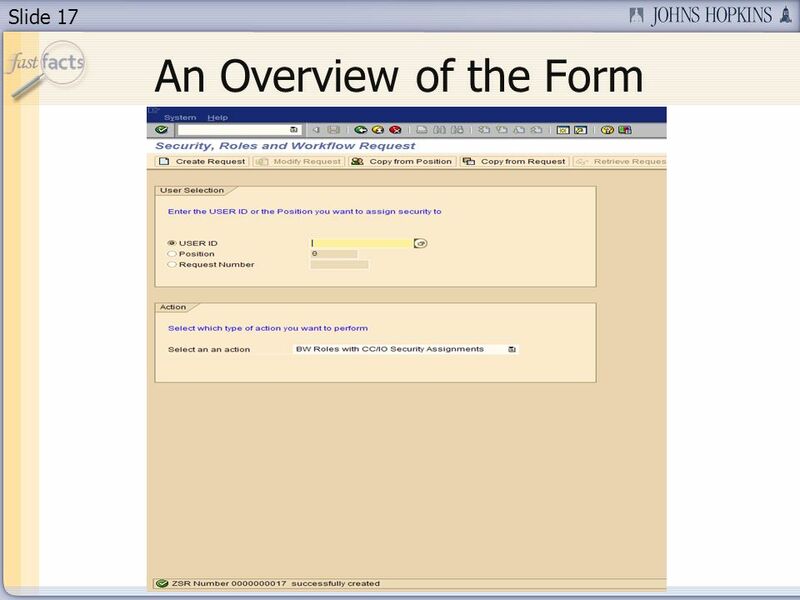 Validations, automatic workflow and automatic update should reduce errors on the front end for initiators, and on the back end when the values are automatically entered into the system. 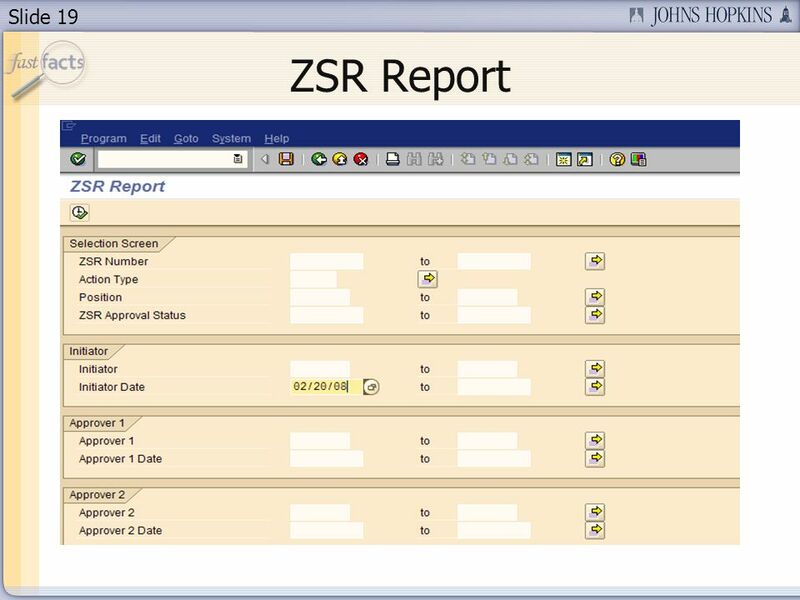 With the ZSR Report, users will be able to display status of requests as well as audit past assignments and changes. 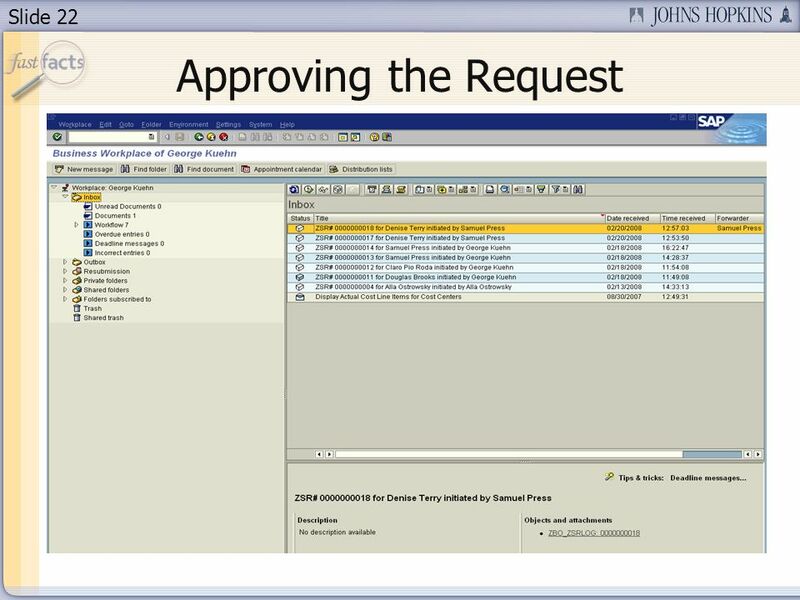 Overall, we hope that the new transactions will make the Request and assignment process more intuitive and more efficient than it has been. 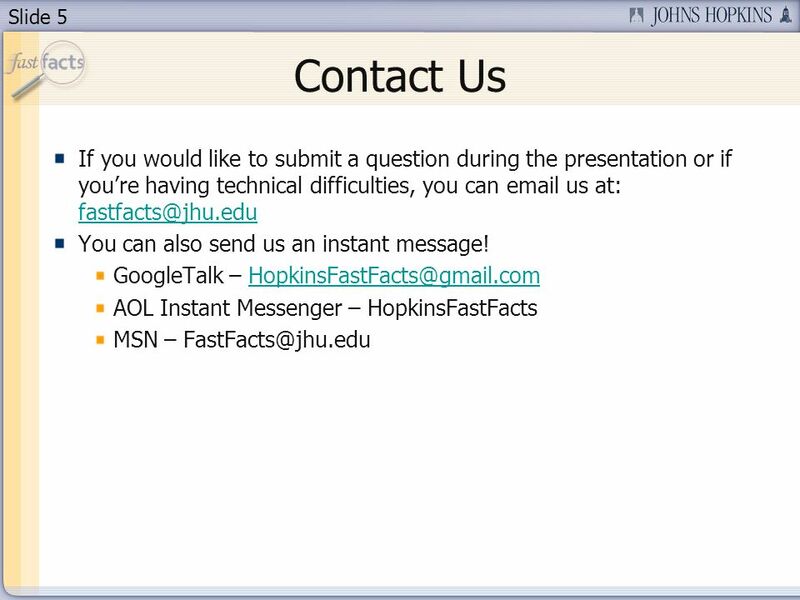 25 Slide 25 Q&A Were going to open the phone lines now! 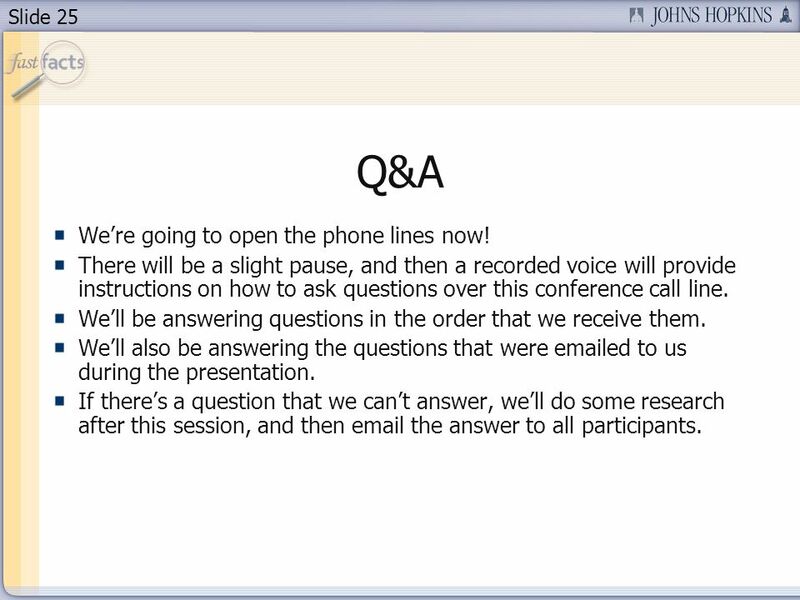 There will be a slight pause, and then a recorded voice will provide instructions on how to ask questions over this conference call line. Well be answering questions in the order that we receive them. 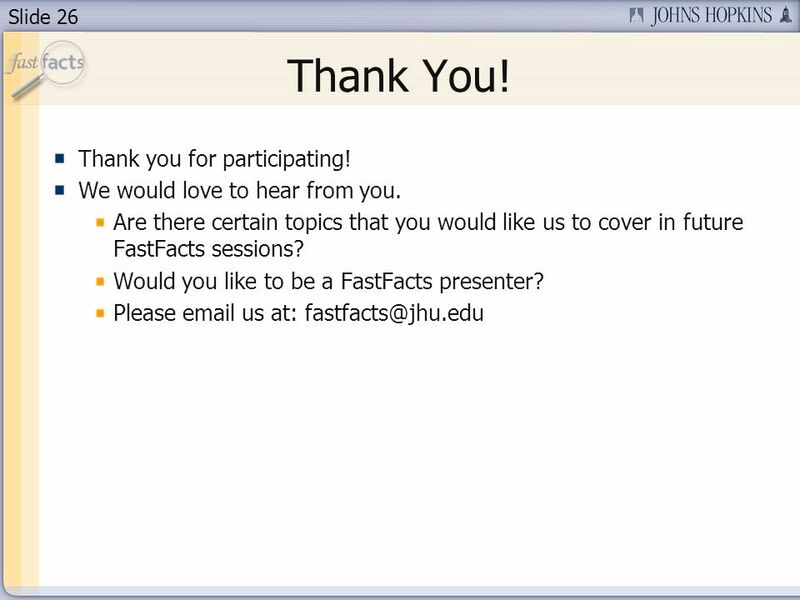 Well also be answering the questions that were emailed to us during the presentation. If theres a question that we cant answer, well do some research after this session, and then email the answer to all participants. 27 Slide 27 Survey Before we close, please take the time to complete a short survey. 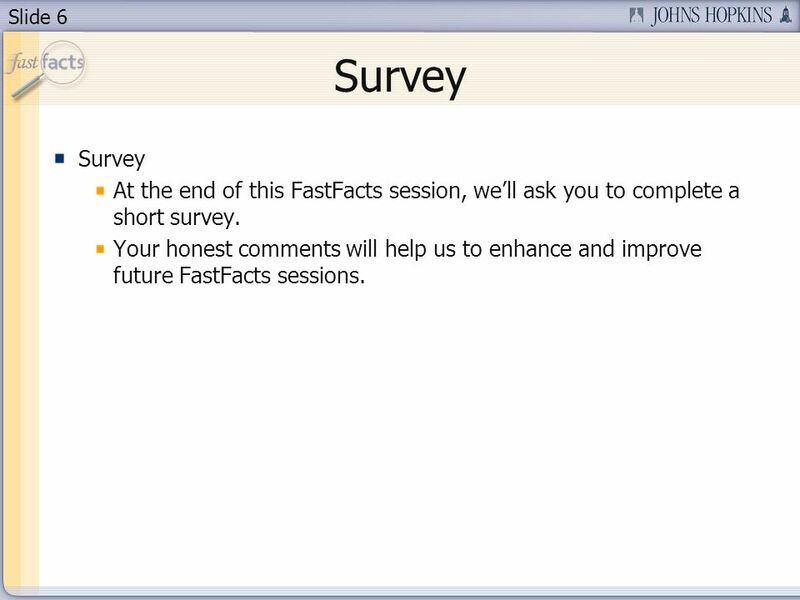 Your feedback will help us as we plan future FastFacts sessions. 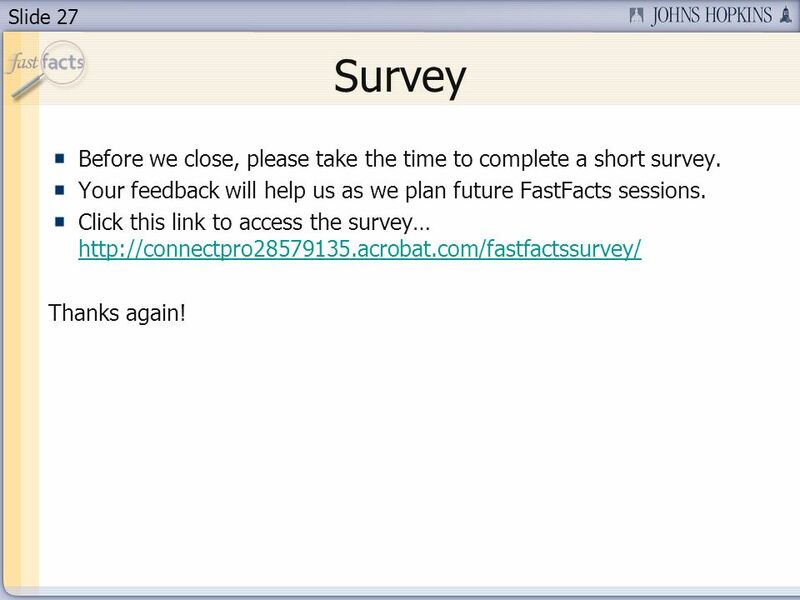 Click this link to access the survey… http://connectpro28579135.acrobat.com/fastfactssurvey/ http://connectpro28579135.acrobat.com/fastfactssurvey/ Thanks again! 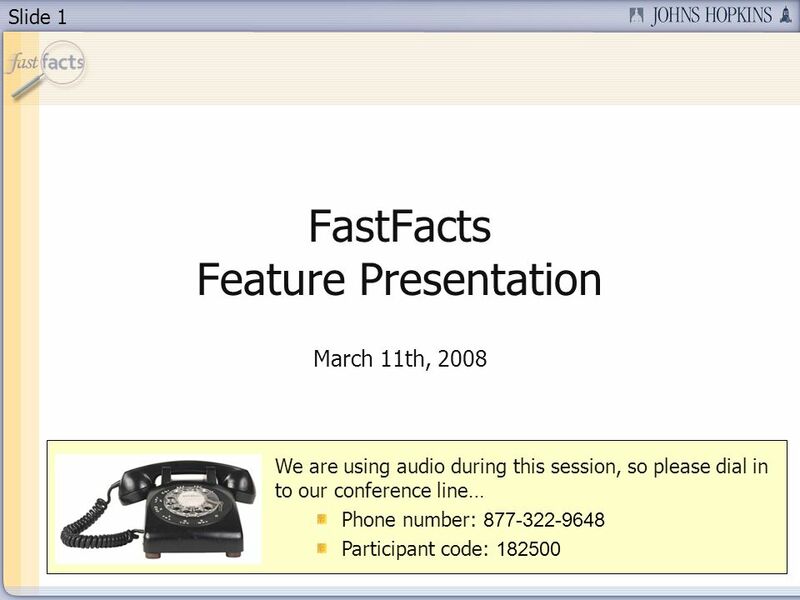 Download ppt "Slide 1 FastFacts Feature Presentation March 11th, 2008 We are using audio during this session, so please dial in to our conference line… Phone number:"